VINYL ON VINYL: Philippine TOYCON this weekend! Get your costumes ready, we're scratching your toy itch! 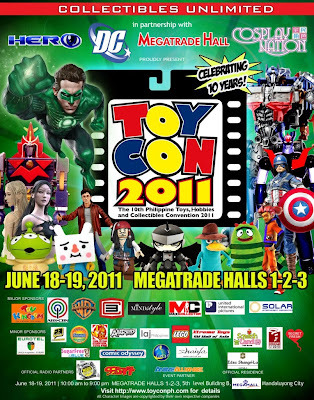 Check out Vinyl on Vinyl's booth at the 10th Philippine ToyCon from June 18-19 at Megatrade Hall 1,2 and 3 SM Megamall. Gates officially open at 10am. Spend a minimum of 1,000 and get a chance to win a limited edition, signed and numbered HUCK GEE watch by Vannen and Vinyl on Vinyl.